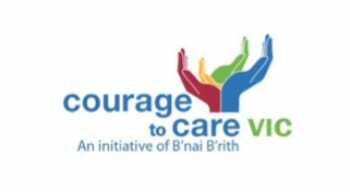 The Courage to Care Educational Program will take important Holocaust messages to the Victorian city of Hamilton. The free travelling program featuring a state-of-the-art interactive multimedia exhibition will focus on high school students. In a program employing the Holocaust as a backdrop to the extraordinary acts of ordinary people known as the Righteous Among the Nations, with spotlights on the heroes of other genocides, Victorians learn about the consequences of unfettered racism, prejudice, bullying and bystander behaviour. Participants are empowered to be Upstanders in the face of injustice. The Hamilton Program will engage and deliver this powerful message to more than 800 senior students from the region. Over the past 26 years, more than 130,000 Victorian students have participated in this award-winning program that applies directly to the national school curriculum, expanding students’ understanding of their class work. The program is delivered throughout Victoria by a team of trained volunteers. At each Exhibition, Courage to Care honours a Local Hero, an ordinary member of the local community who has acted in an extraordinary way on behalf of others. Individuals are nominated for their acts of selflessness and moral or personal courage. Guided viewing of the exhibition is offered free to the general public. All viewings for Individuals and Groups are by arrangement and are conducted outside of school programs. Contact 03 9533 0955 or email office@couragetocare.org.auMedia representatives are encouraged to cover this important initiative. Interviews and visual opportunities are by arrangement.